This pretty card is made with the Stampin'Up Wonderful Romance stamp set. I love that this stamp set has coordinating framelit dies. 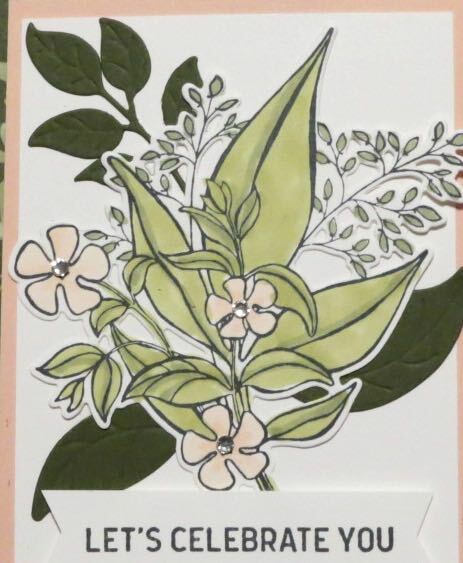 The dies cut out the flower image and it has pieces that cut out and emboss the leaves adding dimension to my card. My image was colored in with Petal Pink, Old Olive Stampin' Blends. 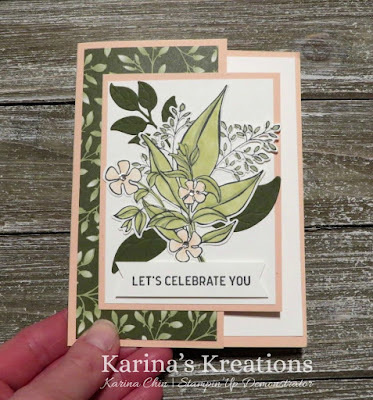 The sentiment is from the new Itty Bitty Birthdays Stamp Set. To order any of these products, please click on a picture below. You will get a Sale-a-bration item with a $60 order.